Many of us start the new year thinking about how to save more money. This is definitely a worthy goal! Afterall, life is unpredictable and financial resilience is key to overcoming setbacks. Nearly 60 percent of Americans say they saved less than $99 per month or $1,188 for the year in 2017. One in four respondents say they saved nothing at all. Data from Bankrate’s latest financial security index survey backs up these statistics. Only 39 percent of survey respondents said they would be able to cover a $1,000 setback using their savings and 19 percent would have to turn to credit cards. If you noticed a drop in your savings account balance this past year, you probably committed to a New Year’s resolution in 2019 to spend less in the coming year. Fortunately, there are ways to nip bad money habits in the bud. Read on to find out how to keep your New Year’s resolution and save money throughout the year. January 2019 is a bargain hunter’s paradise. For example, you can save up to 90 percent on holiday decor during after-Christmas sales. Winter coats, apparel and outdoor gear also tend to be deeply discounted after the holidays. In addition, use January sales to shop for home goods like sheets, bedding and furniture. If you want to save money next year, take advantage of mobile shopping opportunities. Mobile shopping is one of the fastest-growing areas of retail, and sellers are pushing their mobile apps harder than ever. Not only do these apps provide an easy way to shop, but retailers also frequently offer exclusive shopping discounts and savings. For best results, only take advantage of deals for items you actually need. Some consumer goods, products or foods might rise in price next year. Do your research. Then, limit purchases of these items, stock up when they go on sale, look for lower-priced brands and purchase conventional instead of organic options. Head off rate increases for services such as cable TV next year by taking the time to call your providers. For example, you could save money by bundling your cable TV and internet services or going paperless by setting up automatic billing. Many people try to save money by signing up for wireless plans with less data. If you regularly exceed your data allotment — and get hit with fees as a result — your cost-cutting efforts might backfire, however. To avoid data overcharge fees in 2018, use the free My Data Manager app to track your usage and alert you before you go over your limit. On the flip side, you might have overspent on wireless service in 2018 by paying for more data than you actually used. To find out how much data you’re wasting, use an app such as Onavo Count or 3G Watchdog. Also, visit MyRatePlan to find the right mobile plan based on the number of minutes, messages and data you use regularly. Consumers can potentially save a lot on car insurance simply by taking the time to find out if another insurer can offer a better rate. You can get quotes and compare offers from several insurers at The Zebra, insuranceQuotes and CarInsurance.com. Gift cards aren’t just for gifts. If you buy them for less than face value, they’re also a great way to save money on things you regularly purchase. You can find discounted gift cards at sites such as CardCash, Gift Card Granny and Raise. You can find discounted gift cards for supermarkets, drugstores, gas stations, restaurants and hundreds of retailers online. Deal sites like Slickdeals are known for hosting forums where savvy shoppers can share great deals. In savings forums people share information about deals and savings everywhere. There is even a Reddit now for Financial Independence that is quite useful for budgeting and saving overall. Most consumers know they can get coupon codes for online purchases at sites, such as DealNews, Offers.com, Rather-Be-Shopping and RetailMeNot, and use free apps such as Coupon Sherpa to get coupon codes for instant discounts at checkout. Whether you’re shopping at a department store or a supermarket or grocery store, it’s wise to ask if there are any coupons available. Sometimes, there are coupons behind the register that clerks are happy to let you use. In other cases, the store might direct you to an online coupon or even accept competitors’ coupons. Savvy shoppers don’t limit their savings to just one type of discount. In fact, most supermarkets allow consumers to use manufacturers’ coupons along with store coupons. By stacking all allowable deals, you can save more than 60 percent and even get free grocery items. Use discounted gift cards and rewards credit cards that offer cash back, in addition to coupons and sales, to rack up even more savings. Prices on consumer goods can fluctuate wildly — even in a matter of days. To avoid overpaying, it’s wise to use an online price tracker to monitor rates on items you want to buy. Take advantage of mobile shopping opportunities. Mobile shopping is one of the fastest-growing areas of retail, and sellers are pushing their mobile apps harder than ever. Not only do apps provide an easy way to shop, but retailers also frequently offer exclusive shopping discounts and savings. Still, many experts caution shoppers against making impulse purchases. For best results, only take advantage of deals for items you actually need. If you’re shopping online, consider using the InvisibleHand browser add-on to notify you if the product you’re viewing is cheaper at another site. If the product isn’t on sale at your desired store, Woroch suggests using the live chat option to contact that retailer’s customer service department and ask for a price match. As retailers try to make way for the new season’s merchandise, they will begin to offer off-season items at discounts of 60 percent off or more, if you can have the foresight to shop for winter clothes in the early spring, jewelry after Valentine’s Day and costumes after Halloween, the savings can be huge. Shopping the sales cycles ensures you never pay full price for what you need. You can also use an online tool such as My Alerts to research price histories for products, determine the best times to buy and get alerts for price drops. You can save a lot of money at the supermarket by buying produce when it’s in season. Additionally, it’s wise to take advantage of seasonal savings throughout the store. For best results, plan meals and recipes according to the season rather than your cravings. “You can save up to 50 percent just by changing your schedule for dining out and make sure to take advantage of weekday-only restaurant coupons. Additionally, diners with children should jump on the kids-eat-free deals that restaurants typically offer on Tuesday nights. Another way to save when dining out with your spouse, close friend or family member is to split one entree instead of purchasing two. According to the National Resources Defense Council, the average American tosses $1,365 to $2,275 annually. To avoid wasting money on food you’re not eating, plan your meals before heading to the supermarket rather than buying items on a whim. Research grocery store circulars to find out what’s on sale each week and create meals based on these ingredients, as well as what you have on hand. Create new recipes from items you have in your refrigerator and pantry and bringing leftovers to work for lunch. Supermarkets offer a variety of savings and deals to customers who download their mobile apps. Some deals are even personalized based on what you’ve purchased before. Additionally, consumers can instantly score digital coupons via apps. If you aren’t concerned with purchasing the latest and greatest gadgets, save a lot by buying refurbished tech items. These items are often used but restored to like-new condition, and many come with warranties. In some cases, you can buy these goods directly from manufacturers, such as Apple and Dell, as well as through retailers such as Best Buy and Newegg. Plenty of retailers have “fake sales,” or discounts that aren’t truly good deals. To make sure you’re actually getting a deal, research other stores to see what similar items are selling for before getting caught up in the hype. During the holidays, retailers tend to allocate areas for seasonal items that they don’t normally carry. On the actual holiday, the day after or when the season ends, however, these items will immediately end up on a clearance table with a 50 percent off sign. If supply isn’t limited for your desired item, don’t pounce on the sale just yet. To score discounts of up to 90 percent, ask a manager when the clearance items will be taken away and hold out until the end of the sale. If you’re a teacher, senior, student, active military member or veteran, there’s likely a discount you can take advantage of at restaurants, retailers and other service providers. While not everyone advertises these discounts, simply introducing yourself and offering the proper identification can often yield a 10 percent to 15 percent savings on everything from hotel stays to apparel purchases. Even better than getting something at a discount is getting it for free. And there are plenty of freebies out there for the taking. Your local public library is another great source of freebies on everything from books and DVDs to classes. Additionally, several supermarket pharmacies offer select antibiotics and diabetes medications for free. You can even get free admission to all national parks on certain days throughout the year. Many retailers offer new customers a discount of 10 percent to 20 percent just for signing up for their email newsletters. Doing this is a great way to save money on purchases, especially if you can’t find a coupon code. Just be sure to unsubscribe from the newsletter once you’ve used the coupon. Don’t let the weekly emails tempt you to spend more money with the retailer. More and more online stores are offering free shipping to anyone who is signed up for their rewards programs. These programs are usually free to join and can offer members other perks, such as the opportunity to earn points for purchases that can be redeemed for more discounts. Retailers such as Best Buy, Sephora, and Target all offer great rewards programs for their customers. 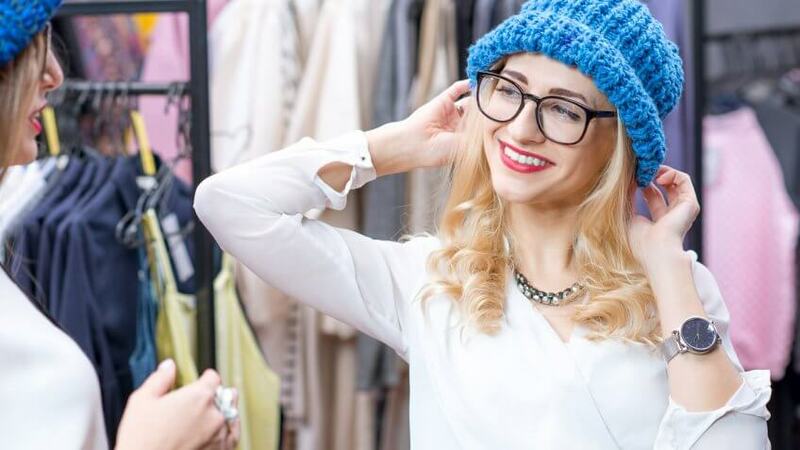 Buying used is a great way to afford the designer apparel, high-end furnishings and sports gear that might normally be out of your price range. As an added bonus, consumers can take advantage of these outlets to sell quality items that they no longer use or want. In many cases, you will net 50 percent of the selling price for your efforts. There are some things you should never buy at the dollar store. However, these discount retailers can also be a great place to score some quality products at rock-bottom prices. You also can find gift wrap and gift bags at a fraction of the price you would pay at even the big-box retailers. Being flexible enough to change your travel plans even by a day or two can end up saving you $50 or more in many circumstances. Use travel booking sites that allow you to indicate flexible travel dates so you can compare options and prices. Using travel sites such as Expedia and Priceline is a great way to get a deal on a hotel room. With a little bit of digging, however, you can often find coupons for deals and discounts on local hotels as well. Additionally, consumers can find discounted hotel gift cards that they can use to pay for their stays. A good way to save in 2019 is to question your purchases. Ask yourself if this is something that you really want or need. By taking time to think before you spend, you can save yourself loads of money on splurge purchases. Automating your savings is a good way of ensuring the money is socked away. However, for most of us, we know its there so we go back for it the next month. If you’re in the “save it and then spend it club”, try experimenting with more creative ways to hide money from yourself. One such tool is Digit, an app released in 2015. Once you connect it to your bank account, its algorithm tracks your cash flow and removes small amounts of money when you won’t notice. You can withdraw whenever and whatever you want, but you’re much less likely to pull a Pirates of the Caribbean on your bank account. Out of sight, out of mind. You won’t benefit much from these money-saving moves throughout 2019 if you’re not actually putting cash aside. Keep track of your savings, and transfer that amount into an interest-bearing savings account each month. Or increase your monthly retirement account contribution, so the money comes out of your paycheck before you have a chance to spend it. If you can’t remember your bank balances, sign up for “text banking” and receive a message with your account balances every single morning (many banks including Bank of America offer this service).